Watch anime online, stream anime episodes online for free.Watch Naruto Shippuuden Episode 62 English version online and free episodes. Anime Episode guide, Chapter Naruto Shippuuden Episode 62 English dubbed Teammate Asuma’s team returns from its mission. Team Kakashi returns to Konoha as well, with Sora replacing Sai on the team. 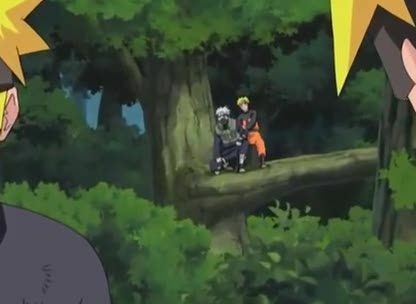 Naruto tries to show Sora around Konoha but Sora goes his own way. Sora’s insults precipitate a brawl with Kiba and Choji, with Naruto and Rock Lee joining in. Shikamaru and Asuma stop the fight. Later Asuma tells Sora he knew Sora’s father, who is revealed as one of the Guardians involved in the coup attempt. He also shows Sora his chakra blade attack. Furido and the other body snatchers begin their attack on the Kohaku Clan.